Pose this hypothetical situation to the class: Suppose one of your friends returned from a trip and told you she saw Constitutions figurehead, the carved figure on the bow, at the Naval Academy at Annapolis, Maryland, and another friend says he saw, at the USS Constitution Museum in Boston, something called a billethead, the decorative carving that was on Constitutions bow and that it had no figure at all. Who should you believe? The answer is both. Constitution has had various ornamentation, or decorative work, at different times over her long life. And ornamentation was the least of her changes. In some of her roles, she has looked nothing at all like a warship. When she was used as a barracks, a barn covered her spar deck. She has had paddle wheels affixed to her sides and her masts removed and put back. Ask the class, besides the dramatic changes in her appearance, what other changes might have occurred over time. What about the subtle changes caused by aging and use? Explain that natural materials decay. Water softens wood, and the sun dries it out, creating cracks. Then organisms get into it, grow, and decompose it, or break it down. Constitutions brass fastenings rust, which is a chemical reaction between the metal and oxygen. Rot and corrosion are natures way of recycling. Aging has even caused Constitutions basic dimensions to change. Just as her rigging stretches, so has her body. According to measurements taken in the early 1990s, Constitutions width amidships has expanded about 1.2 feet over the years, and her keel is no longer straight. A process called hogging has made her bow and stern sag so that today, even after an extensive overhaul, the keel is several inches higher in the middle. Despite all the changes, experts tell us that hidden deep within her hull, below the water line, some of the original Constitution remains. Her backbone and some of her ribs are original. The wood has lasted because the salt in the ocean helped to preserve it. 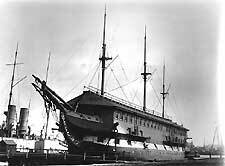 When Constitution served as a receiving ship at Portsmouth, N.H., her sailing rig was hidden by a barracks structure more suggestive of a farm building than anything nautical. Ask students if they ever had to sort through their possessions and decide what to keep and what to throw away. How did they decide? In the early 1900s, America considered throwing away Constitution  to use her for target practice. Some say that Constitution has come closer to destruction at the hands of her own people than at the hands of her enemies. Yet she seems to have more lives than a cat, thanks in part to a long line of supporters. One of her saviors was a medical student at Harvard University in Cambridge, Massachusetts. In 1830, Oliver Wendell Holmes wrote a powerful poem called Old Ironsides, which helped to rally the public to support her. In 1897, Massachusetts Congressman John F. Fitzgerald, grandfather of President John F. Kennedy, introduced one of the first resolutions in Congress to save Constitution . In 1905, Armenian immigrant Moses Gulesian offered to buy Constitution for $10,000 rather than see her used for target practice. Finally, in 1954, President Dwight D. Eisenhower signed a bill authorizing the Navy to restore Constitution and keep her ship shape. Ask students to think about something they would like to preserve  a favorite book, a particular toy or a piece of jewelry. How could they take care of it to make it last? Imagine how much more needs to be done to preserve Constitution. Ask the class what can be applied to wood to protect it? (Paint) In addition, copper sheathing helps to protect the bottom of Constitutions hull against drilling shipworms that bore holes in wood. Caulking has kept water out of her seams, and tar was used on the rigging. But these measures will only slow down, not prevent, decay. Every 10 to 20 years, rotten materials must be replaced. 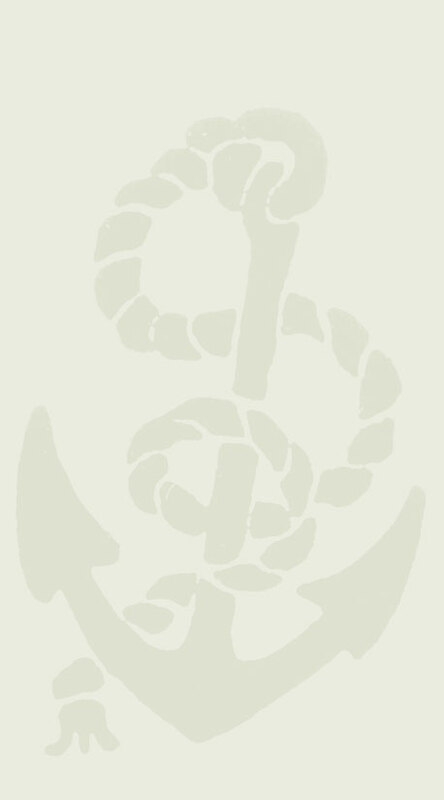 In 1977, Constitution was put under the care of the director of naval history, and in 1990, the Naval Historical Center Detachment Boston was created. Constitution is no longer treated like all other Navy commissioned ships undergoing simple routine maintenance. The center has done much detective work to restore, or return, Constitution to the way she looked in the War of 1812. They have sifted through archives, or historical records, and other sources scattered around the world, to check references to Constitution. For the first time, the Navy has x-rayed a wooden ship. It has also used ultra-sound, or high frequency sound waves, a non-destructive way to learn what is beneath the surface of her timbers. The Naval Historical Center is compiling information on Constitution in a computer data base that can be accessed by mail or phone and will be on the Internet in the future. Perhaps your students can contribute to the data base. For example, they can write letters-to-the-editor of a local newspaper seeking people with ancestors who served aboard Constitution. This might expand into an oral history project for the class. What birthday is Constitution celebrating this year? In the 1990s the ship completed her most extensive overhaul in the 20th century. She was put in dry dock, an enclosure somewhat like a lock on a canal from which the water can be pumped out, and worked on from stem to stern. The people who have been restoring and repairing her are very impressed with Constitution. They say were it not for her fine construction, she would not have survived all her engagements nor the battle against time.